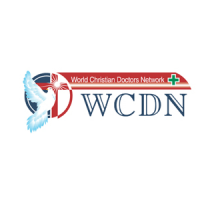 On May 25-26th in Nairobi, the Kenyan capital, was held 9th World Conference of Christian doctors. 300 delegates from 37 countries worldwide attended the conference. Kenya, a country where many people are infected with AIDS, and many of them die. The founder of the World Christian Doctors Network is the pastor of Jaerock Lee and other Korean doctors. At the conference, well known doctors from different countries, presented reports on different topics. One of them is Dr. Frans J. Cronje, who spoke about the spiritual roots of disease. From 75 to 85 percent of chronic diseases have emotional roots, namely, fear, guilt, shame … and only if we choose to believe, obey and be humble before God – this will bring us salvation and truth. There have also been granted the miracles of healing by prayer and faith in the name of our Lord Jesus Christ. All miracles were confirmed by medical evidence, facts and photos. Were presented divine healing testimonies from the U.S., India, Korea, Kenya. We are placing one testimony presented by Professor Dr. Zipporah Ngumi of Nairobi. One woman called Kanas, when gaining water from the creek was attacked by a buffalo and seriously injured by his horns. This Kanas came to the conference to talk about the power of God. The tenth international conference “Spirituality and Medicine” is scheduled in June 2013 in Mexico.